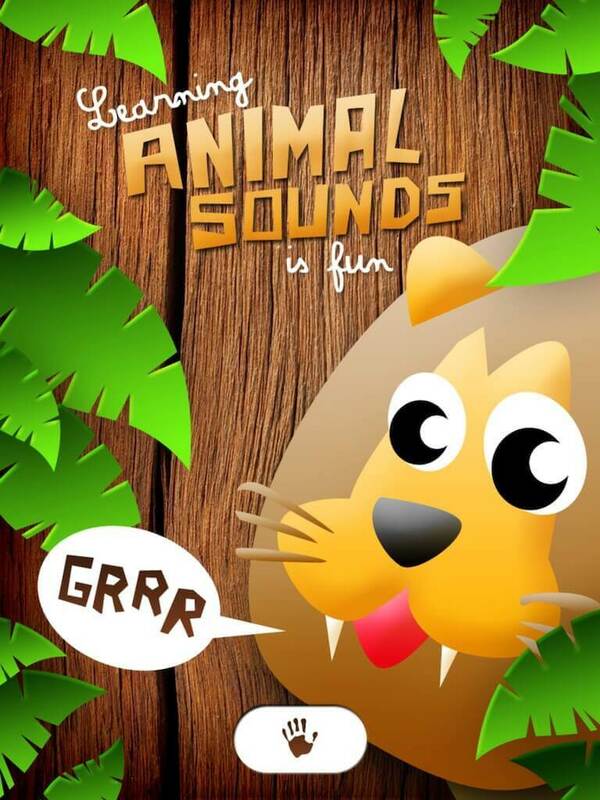 – “free mode”: the 20 animal illustrations are displayed, your kid will be able to touch any picture to hear the corresponding animal sound. 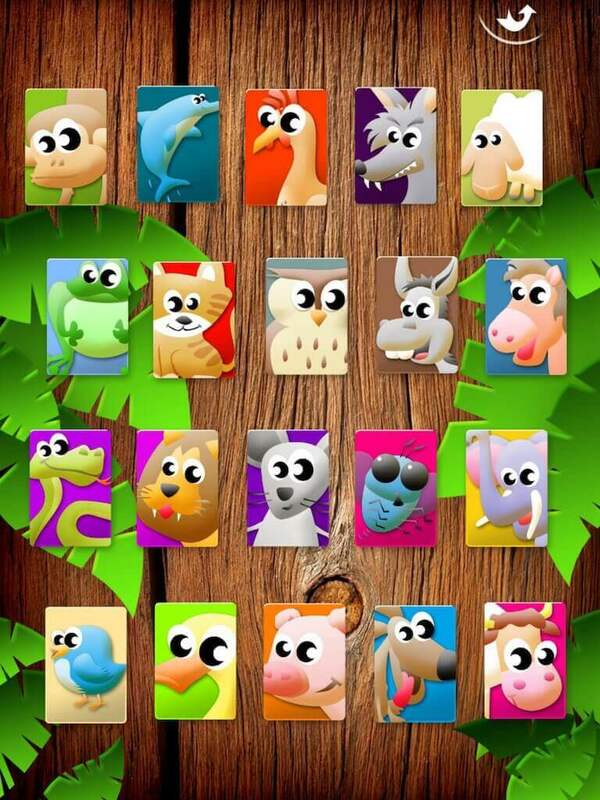 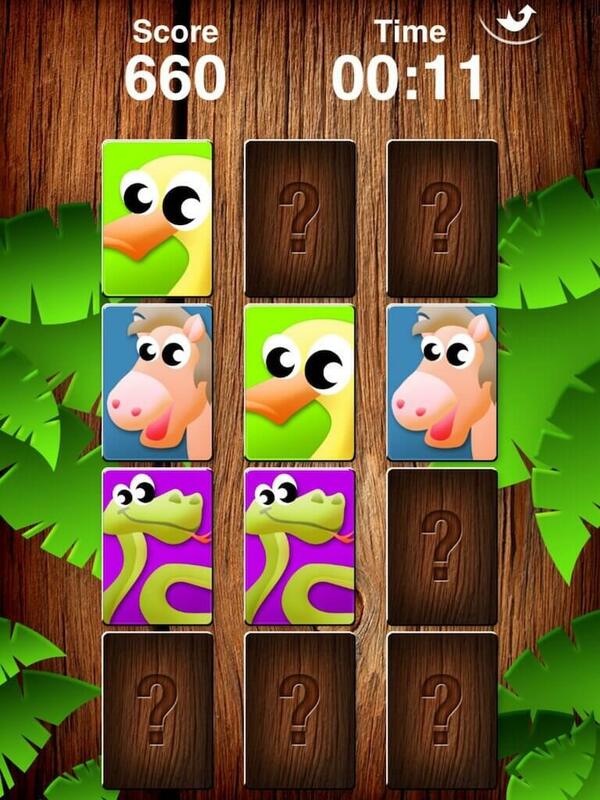 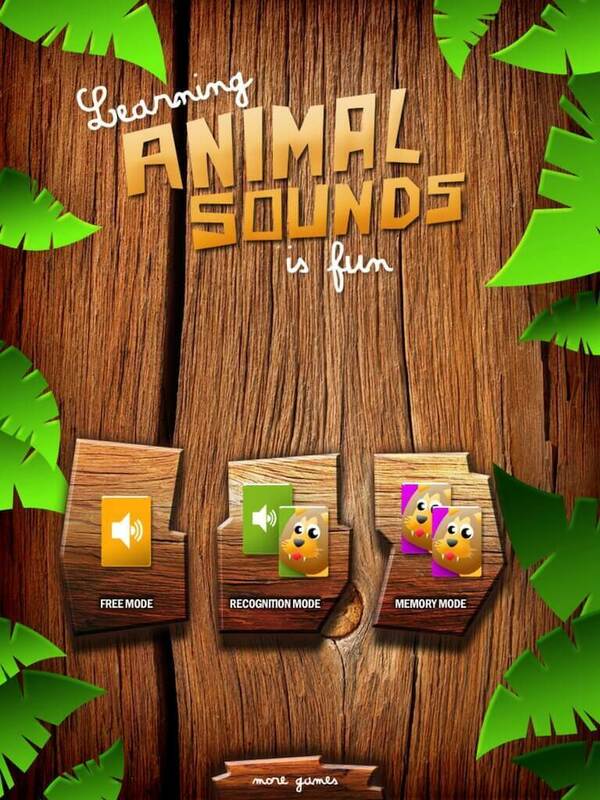 – “recognition mode”: a game in which your kid will have to recognize 1, 2 or 3 animal sounds in a row. 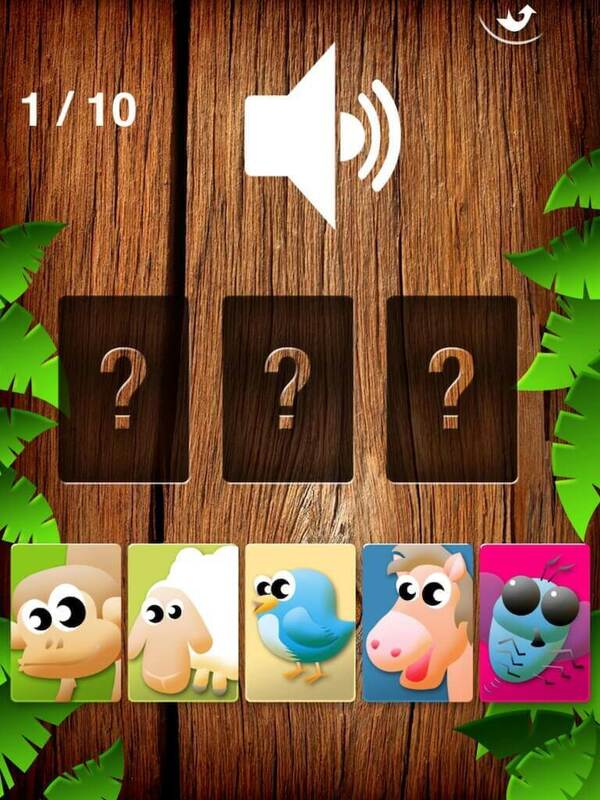 – “memory mode”: a sound memory game, in which your kid have to find the 2 same sounds to discover the associated illustrations.